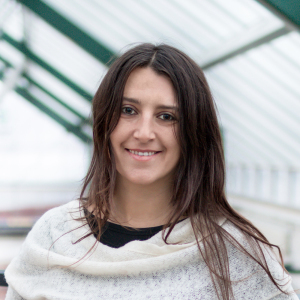 Amaranta Herrero is a Sociologist and an Agricultural Engineer with a PhD in Environmental Sciences (Environmental Sociology) from the Autonomous University of Barcelona. Her area of expertise is focused on the study of environmental controversies. During her PhD she studied a socioecological conflict of illegal Mountaintop Removal coal mining in Laciana, a protected valley by EU environmental legislation in León (Spain). She has also worked on gender issues and food sovereignty. She has worked at the Environmental Justice Organisations, Liability and Trade (EJOLT) project, funded under the European Commission ( EC)’s Seventh Framework Programme (FP7) program, mapping environmental struggles and spaces of resistance, mostly in Spain. Before she worked at the European Corporate Observatory, in Brussels, researching and campaigning on the influence of agrofuel lobby groups on the approval of the Renewable Energy Directive. Some years ago, she also made a documentary about the coexistance of organic maize and GM maize in Spain. Currently, she is a researcher at the Agri/Cultures project at the National Center for Biosecurity and Gene Ecology (GENØK) in Tromsø, (Norway). Environmental sociology; gender studies, socioenvironmental conflicts; the making and politics of scientific knowledge relating to nature; attitudes, discourses, and public perceptions of environmental problems; social imagineries; sociology of consumption relating to the environment.